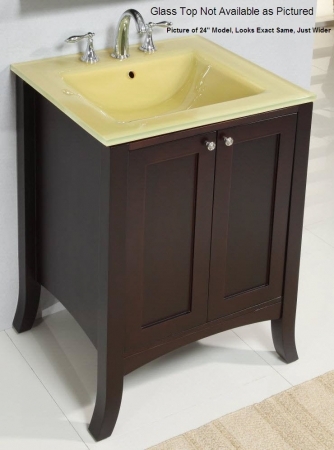 Get back to basics with this base cabinet. 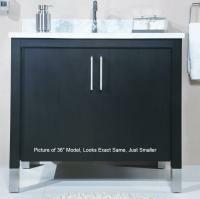 Pair it with an integrated sink or other items, which are sold separately, for a complete vanity. Spice cherry finished hardwood gives this simple cabinet a lovely coat and the two doors cover ample storage space. Price is for base cabinet only, see drop down menus for counter top with sink pricing.